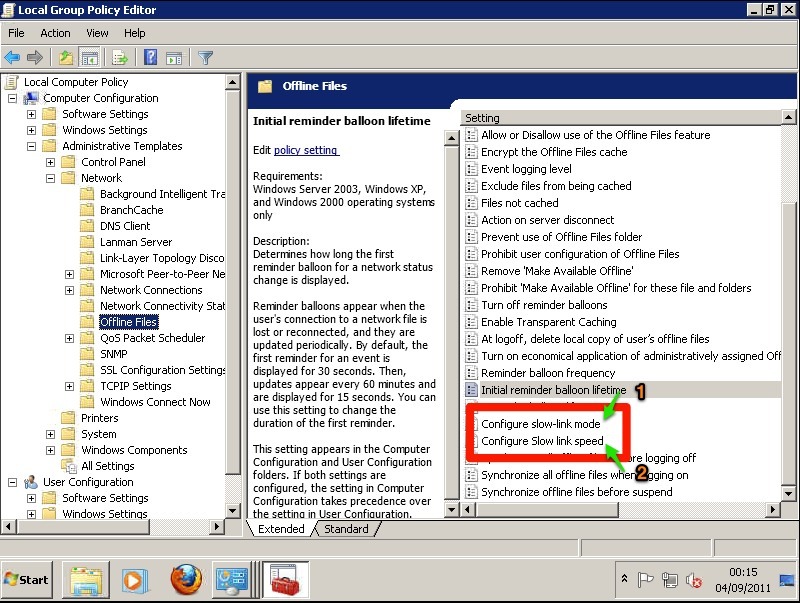 Using the Offline Files in Windows Vista or Windows 7 is not always a smooth process and can cause a lot of Offline Folders And Files Synchronization Errors. 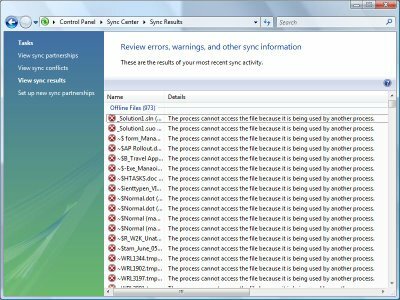 I found the latest generation of Windows to be very sensitive in the process to keep synchronized the Offline Files and folders copy with the remote share. Depending on the quality of the network you rely or the quality of the link to the share the Windows 7 (or VISTA) clients may think that the share is temporarily unavailable and stop synchronizing the Offline Folder while leaving temporary files on the server. That may confuse some applications, especially Microsoft Office making them believing that a file you just edited and closed is still opened by another application and will refuse to open such file again. I.E.. I have a very unadvisable configuration where a Linux server is providing an NFS share to a Mac OS X Snow Leopard server, and that server is then re-sharing via SMB and AFP that share to Windows and Mac OS X clients. I have experienced problem with Windows Clients stopping to synchronize files without any reasonable motivation. I understood that because of an obvious delay on the communication from the Windows client through the Mac OS X server (via SMB) to the Linux server (via NFS) would make the Windows client believe that the share was offline with many unconfortable conseguences. 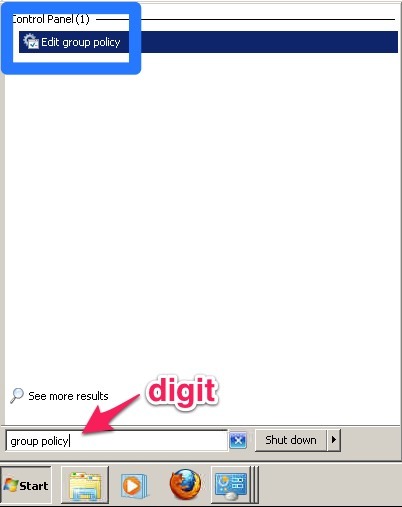 I have found a workaround to this problem playing a little with the Windows’s Group Policy Editor. 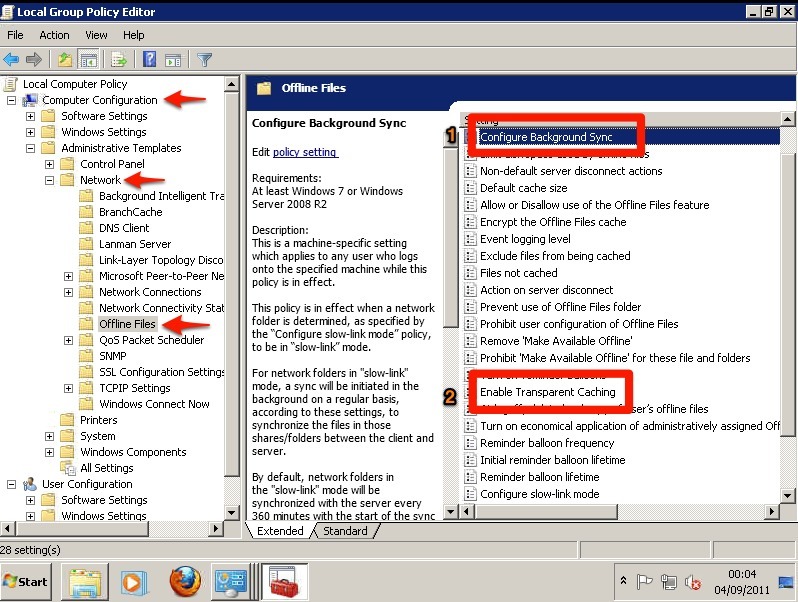 As I don’t have a Windows Domain in place I couldn’t generate a policy file to be pushed once for all to all the clients so I had to manually start and configure the Group Policy Editor on each single Window VISTA and Windows 7 machine. Access the ‘Configure slow-link speed’ to configure the latency level to detect weather the connection get slow. Follow the suggestions shown in the LGPE to calculate the appropriate value. These settings should avoid many of your problems and so far they did not create any additional issue. Please comment and post your experience about any problems with the use of Offline Files and Folders. "Warning: Current plugin selected could nor be loaded! You may not be able to login using pGina!" x64 (64 bits) version of the plugin. Some plugin may be released on a single version but this doesn’t imply that it will work for both the architectures. Applying one of these two fixes you should have resolved your problems otherwise you may consider to check the file permissions on the plugin files. You are currently browsing the MarcoMC blog archives for September, 2011.